This is a fun craft to make with a group of people because each person can make a section and then the sections can be easily liked together. We created a long garland like this to wind around a tree we decorated for Hospice. 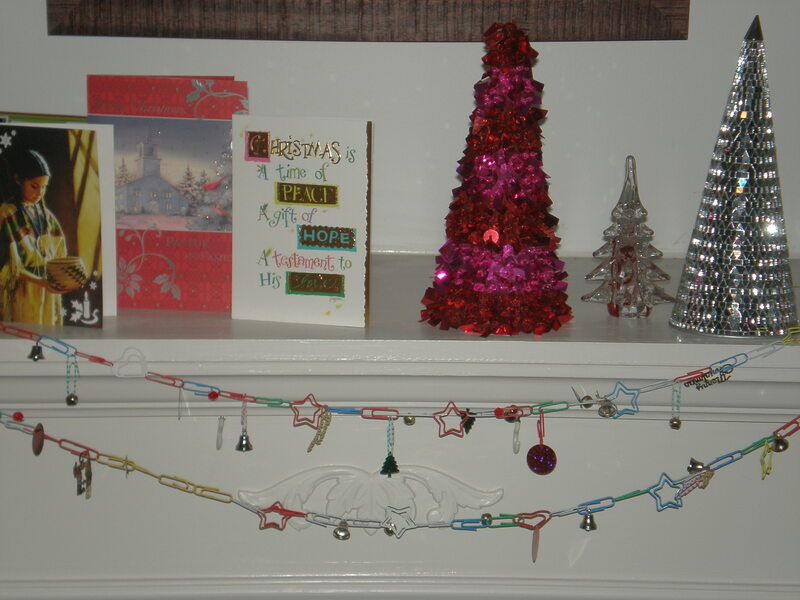 Slide beads, sequins and jingle bells through some of the paper clips. Link paperclips together to form a long garland. 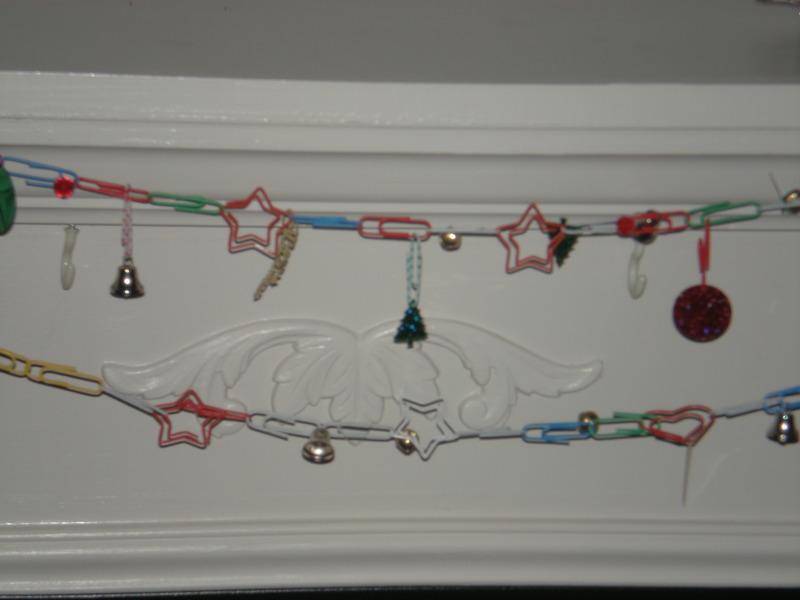 You can dangle some paperclips from others and add decorations for a different look, as in top garland below. 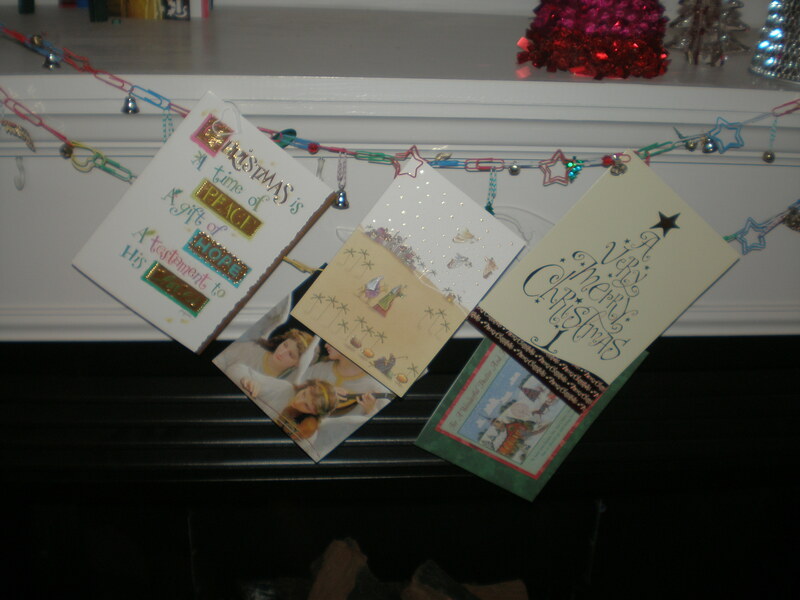 Another idea is to use a paperclip garland to display cards!